Me and Yuki @MT for “American Baseball School“ coming up from next week Oct 19th. Hey Guys, as you guys know I am already backed in JP!! And of course working hard everyday just like when I was on the baseball field in Sonoma. 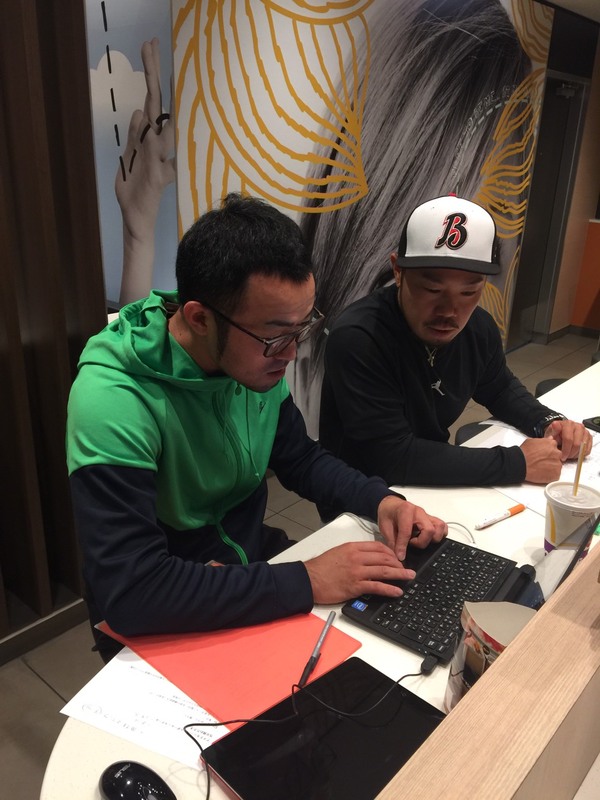 From the next week, we will going to start “American Baseball School“ in Yokohama. Which is Yuki Yasuda`s home town. 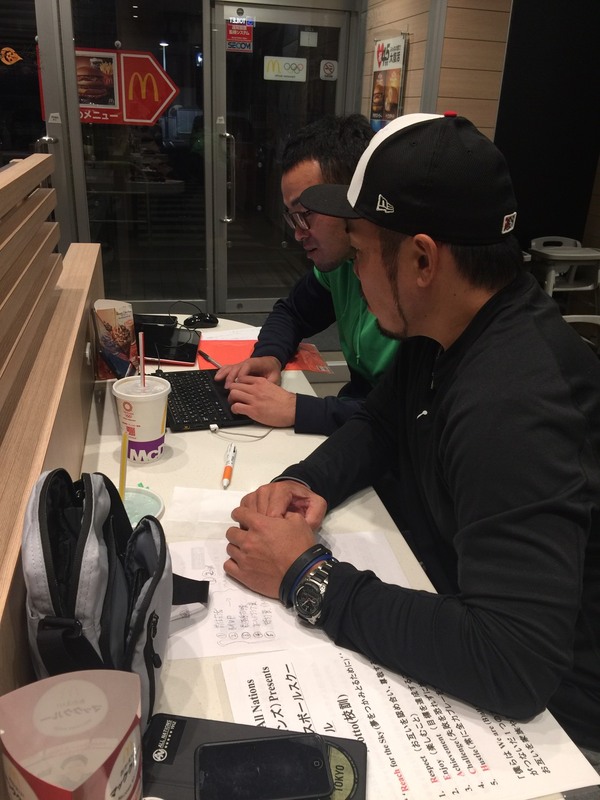 I `m just extremely excited about this opportunity with younger players in JP, and passing on our knowledge and experiences. All we are going to do is make them having fun and play ball. And those players (age 8 to 13) need to play games to get better and having fun. So we created an opportunity to run the school. This is our 1st year but, will keep continue to do it to save the players who does not have many chances to play the games on the weekend with their original team. Anyway, just like my favorite host mom in the world Georgia said, I am 24/7 dedicate about this game. Because of this game is my life and told me how I have to stand up when I fail and live my life. I will keep continue to grow as a manager and coach wherever I am. I already miss the baseball season but will keep working hard to see you guys again!! Our job is passing on experiences to our hometown and, always do something good for the community. 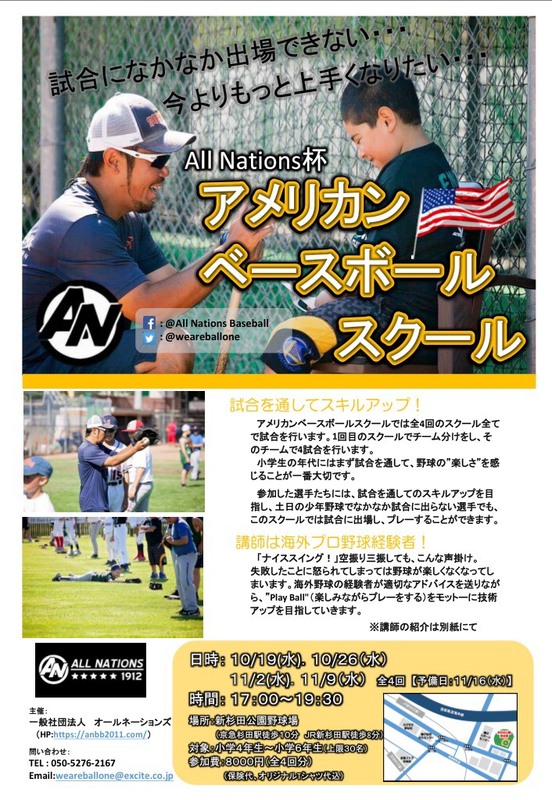 Categories: All Nations Baseball, Voice from Japan | Permalink.